Bulletjie Rugby Shirt design 2 shows you how creative you can be with your sublimated rugby shirt designs. A Bulletjie Rugby Shirt is probably one of the first rugby shirts a child will ever own so make it count. 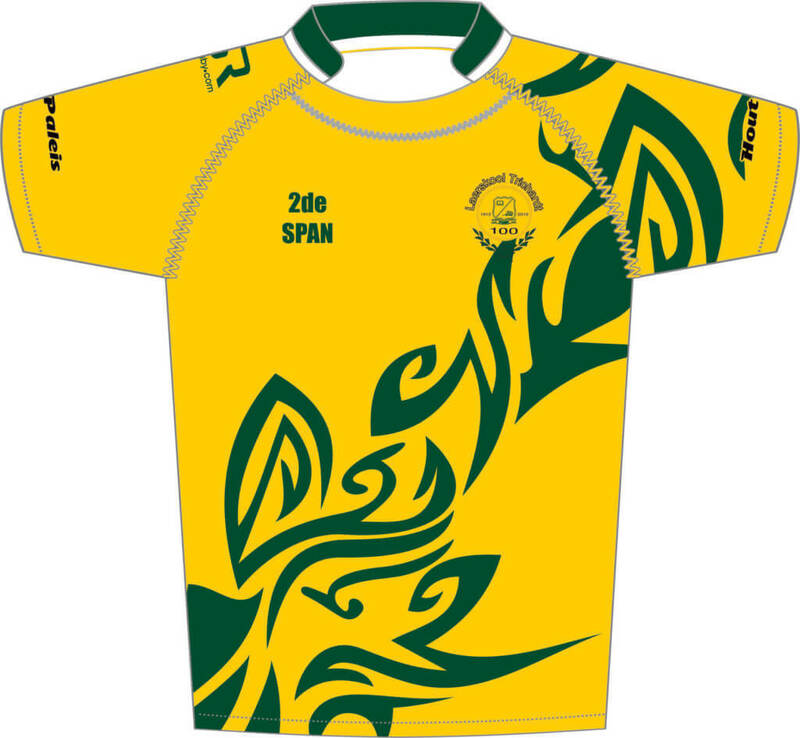 Stud Rugby manufactures sublimated rugby shirts for kids from the Age of 3. We have adapted our patterns and modernised them so even these entry level shirts can have the benefit of the latest collars and fabric options available. With sublimation, the design ideas are endles. Stud Rugby can literally re create any colour combination or theme that or your Bulletjie team has in mind. The love of rugby starts when children are young so by creating patterns for the bulletjie rugby age group we enable this passion to grow. Stud Rugby has been manufacturing custom rugby shirts for more than 10 years. Bulletjie Rugby starts from Age 3 – 4 and that same design theme can be carried through to our adult division. The biggest size we manufacture is a size 5XL. We can customise the printing of the logos as the amount of space on the rugby shirt varies dramatically from Bulletjie Rugby to Adult rugby. Our rugby shirt pricing falls into 3 different categories. Bulletjie, Junior and Adult sizes.